See more objects with the color grey rosybrown rosybrown or see all the colors for this object. This is a Hand-woven fragment of evening coat fabric. It was designed by Anni Albers and woven by Anni Albers. It is dated 1946 and we acquired it in 1948. 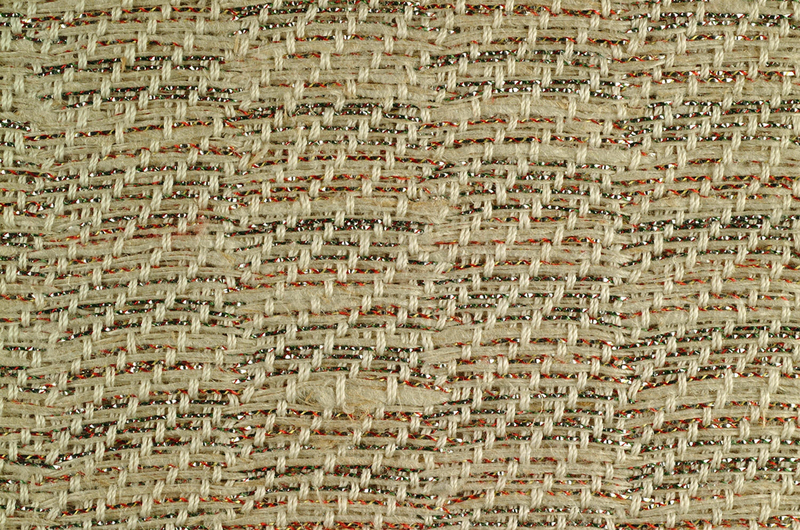 Its medium is linen, cotton, aluminum strips and its technique is two intercrossed plain weave structures (double cloth). It is a part of the Textiles department. This object was purchased from Anni Albers. It is credited Museum purchase through gift of Mrs. John Innes Kane. This object was previously on display as a part of the exhibition	Josef and Anni Albers: Designs for Living.